At first glance, my very first thought when I saw the Patagonia W's Wool 2 T-Shirt was "It's so light!" And I don't only mean the pale, pale blue color of the T-Shirt. There is hardly any weight at all to this shirt. At a smidge over 3 oz (85 g), I sure won't be leaving the T-Shirt behind to save ounces (grams). The material of the Wool 2 T-Shirt is so incredibly thin I can practically see through it. However, I was pleased to find my modesty is not compromised. While, due to the close fit, my bra outline is visible, thankfully, that is all. Initially, I thought the T-Shirt had flaws. I quickly realized this perception was caused simply by the pointelle-knit construction which gives the shirt a very subtle pattern. 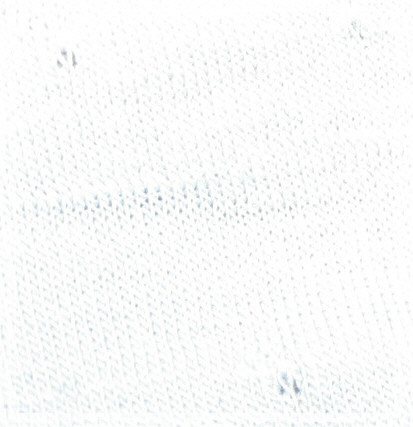 The close-up picture at left was deliberately over-exposured so the pattern can be seen. I conducted a very close going-over of the T-Shirt and confirmed a quality product with no loose threads, pulled or sloppy seams or any other irregularities. A quick try-on of the shirt revealed the feel of the Wool 2 T-Shirt to be nothing like my old-fashioned wool shirts. This T-Shirt is so soft and silky feeling - a lot like a newborn baby's nightgown, only even softer and lighter! It fairly glides over my skin and barely feels like I have anything on. Upon inspection, I found the seams are flat-locked seams (see picture), designed so there are no "ridges" to rub me the wrong way. The raglan sleeve style eliminates the shoulder seam which so often bothers me when I'm wearing a backpack. And the cross-over crew neckline hugs my collarbone without being constrictive about my neck. I was surprised to find two labels at the back neck seam. They are not made from particularly stiff or scratchy material, but I'm not a fan of tags in general. I will be watching to see if I feel the need to cut them out down the road. At this point, the Wool 2 T-Shirt fits me comfortably. It is not skin tight, but certainly not loose. I requested a "medium" based on the Patagonia website sizing chart. I wavered between a small and a medium since my measurements were in between the two. I'm glad I got the medium. A small would have definitely been too tight and would have meant a returned product! The hem falls about 5 inches (13 cm) below my natural waist so there is plenty of material to tuck into my pants if I choose without having excess shirt if I choose not to. The slim, tapered fit of the T-Shirt also means that I don't have bulk at the waist, either. Since the Wool 2 T-Shirt is so thin and slim fitting, I had no problem using it as a base layer under another Patagonia top I own for a quick walk to our mailbox - a 5 mile (8 km). Now that I'm back inside, I have no desire to take it off. I'm guessing this little ole shirt is going to get a good workout these next four months! I love Patagonia and I love T-shirts! I wear a T-shirt year round for hiking. I hike "hot" and so even in the winter, I am concerned with getting overheated, sweaty and consequently wet and cold. The current mainstays of my hiking wardrobe are my Capilene T-shirts. 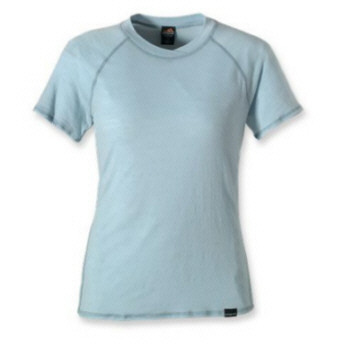 For some time now, I have been very interested in trying a light merino wool alternative to Capilene and the Patagonia Wool 2 T-shirt looks like a premier product. As a tester, I will put the Wool 2 T-shirt to a very thorough test, wearing the T on every possible hike and backpacking trip. The Wool 2 T-shirt will be worn rain or shine, hot and cold, day and night. I will wear the T with and without other layers as needed and report on its comfort, versatility, quality and durability. Hiking will take place in terrain that will include the alpine forests of Colorado in the Rocky Mountain National Park, the high desert areas in the Cooper Mountain range, and the Sangre de Cristo mountain range including the Great Sand Dunes National Park and Preserve. Elevation will range from 5,000' up to 14,000' (1,524 m to 4,268 m) and temperatures over the rest of spring and summer will vary from 38 F to 88 F (3 C to 31 C). I'm sure to experience mild to very warm temperatures, wind and rain and still lots of snow in Rocky Mountain National Park and in the Sangres. This concludes my Initial Report of the Patagonia W's Wool 2 T-Shirt. My first two months' Field Report is posted below. Since my Initial Report there has been absolutely no rain, not even a sprinkle or a faint mist. The various raging brush fires in our area testify to exactly how dry Fremont/El Paso counties (Colorado) have been. The weather over the last couple of months has ranged from a cool 38 F (3 C) to a very warm 84 F (29 C). As I said, it' has been bone dry. We have had lots of wind, more than normal according to longtime Canon City residents. Most, heck, ALL, of my trail time during my field testing has been in the BLM lands controlled by the Royal Gorge regional offices. This land is very rugged with little or no real trails. The terrain is varied from dust to sand to gravelly, and then there are the medium to large rocks and huge boulders. We pretty much just pick a ridge we would like to end up on and bushwhack our way to it. Sometimes we make it, other times we get sidetracked or we reach an impasse. Either way, we usually start at 5600+ feet (1700 km) and go up to 7000+ feet (2100+ km). The vegetation is prairie grasses and cholla cactus in the lower elevations and pine and juniper predominates as the mountains rise. Lots of plant life to snag my clothes on. The Cooper Mountain area I call my outdoor home can be a harsh but so beautiful place! According to my estimates, based on my spreadsheet to track usage, I have worn the Patagonia W's Wool 2 T-Shirt 24 times averaging 8 hours on each occasion. That's a total of 192 hours. Wow! A good deal of those hours were simply to test the durability of the tee and consisted of errands about town, wearing the tee around the house and daily trips to the mailbox 5 miles (8 km) round trip down the road. However, on 4 different overnights, I wore the T-Shirt, well. .. overnight. For casual wear around the house, most of the time, I wore the Wool 2 T by itself or with a cotton zip sweatshirt over it. When about town I usually wore some sort of cotton pullover on top. Hikes on our 35 acres (14 hectares) or to the mailbox, I also generally used the tee as a base layer for various technical pullovers. 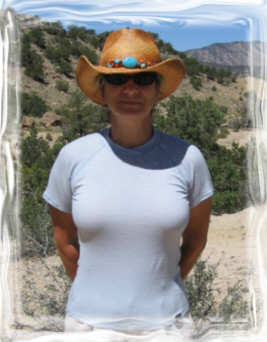 On each of the overnight tests, I wore the Wool 2 T under another top for most of the treks. The usual outer layer was either my Patagonia Capilene Mock T or my Outdoor Research Essence T. With both outer shirts, I had no problem slipping them over the very thin layer of the Wool 2 T-Shirt. The Wool 2-T was barely discernable underneath, adding no bulk at all. Only when it was very windy did this combination not work for me - I hike hot. When hiking on exposed ridges with temperatures under 50 F (10 C), I did need to add a waterproof wind jacket for added warmth, mostly just to cut the wind chill. At night in a 30 F (-1 C) rated sleeping bag on a pad, I wore just the Wool 2 T-Shirt. For me, there was no need to wear anything more, but again, like my hiking, I sleep hot! The amazing thing to me about this little T-Shirt is its chameleon quality with regards to temperatures! It is so thin but adds a great deal of warmth when paired with a mid-layer at lower temperatures, yet seems to add extra warmth at higher temperatures. When I'm cold, I definitely notice a difference adding it to my attire, yet if I am hot; removing it doesn't seem to make a bit of a difference! Since I do hike hot, I almost always break into a sweat - sometimes a mere glow and other times, outright soaked base layer. The Wool 2 T-Shirt did a very good job of wicking the sweat away from my body and keeping me more comfortable on the trail. When the wet T-Shirt was exposed to air on rest stops, I was pleased to see how quickly even the outside of the shirt would dry; much faster than any other layer of clothing I wear. And while after several hours of strenuous hiking, the shirt would have that damp wool smell, it never became overly objectionable; even after wearing for several days without washing. I have washed the Patagonia T-Shirt on three occasions using a commercial washer and twice by hand. In each case, I used cold water and let the shirt dry flat in the outdoors. The washing instructions for the shirt are detailed in the international hieroglyphic-type icons (which I haven't a clue as to their meaning) on the neck tag. So, I treated the tee as I would any other technical shirt I own. I don't think the T-Shirt has shrunk at all - I can still tuck it into my pants/shorts if I wish. However, I think the "shaping" has gone a bit awry (see pictures below). The front of the shirt looks nice and straight, but the back is a somewhat twisted! As for durability, I have been very careful up to now while wearing the T-Shirt. It has been safely worn under various protective layers. The Wool 2 T has not yet experienced the potential pulls and snags of the cedar, juniper and pinon pines that surround the countryside here. Since I have noticed a tendency for the tee to catch on a ragged fingernail, I tremble at the thought of exposing it these next two months during the Long Term portion of my test. Up to now, the tee has remained in one piece with no pulls, snags or pilling. So far, I've found the Wool 2 T-Shirt to be a valuable addition to my hiking gear closet. It is light enough fit under almost any other top I own, yet adds just enough extra weight when I need it. It packs small, so there is never a need to leave it behind. The Wool 2 T-Shirt has efficiently wicked away sweat and remained inoffensive. I like it! This concludes my Field Report for my first 2 months of testing the Patagonia W's Wool 2 T-Shirt. Please see below for the final results of my testing detailed in my Long Term Report. I am lucky enough to live, for most of the year, on 35 gorgeous acres (14 hectares) in southern Colorado. I spend as much time as is possible outdoors in all weather conditions. Every day, I at least take a hike around the hogbacks surrounding our building site and most days, I make a 5 mile (8 km) round-trip trek down our dirt road to our mail box. I wore the Wool 2 T-Shirt at least 3 days a week - mostly weekends, including 6 day-long hikes and one overnight. During the month of June, in Colorado, there was very little rain, and only the rain we had occurred after dark. I watched many storms rage over the Wet and Cooper Mountain ranges to the south and north, but the Arkansas River Valley has been dry. The temperatures over the last couple of months have ranged from a cool 58 F (14 C) to a very warm 104 F (40 C). We have had lots of wind, more than normal according to longtime Canon City residents. My trail time during my testing continued to be primarily in the BLM lands controlled by the Royal Gorge regional offices as described in my Field Report. 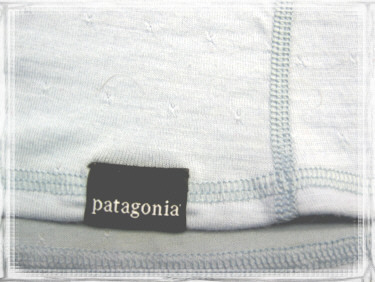 Due to the high daytime temperatures these past two summer months, I didn't wear the Patagonia Wool T-Shirt very much. Actually, the only time I wore the shirt was at night for sleeping on 4 overnights. Wearing the tee to sleep in was a delight as it is so thin it doesn't overburden me with excess fabric. The trim fit, however, kept it from getting bunched up or twisted when I was restlessly tossing and turning in my sleeping bag. I never had any trouble with the armholes binding around my arms, either. While the tee is almost sheer, it still offered me plenty of warmth at night. Most nights, I didn't even need to zip my sleeping bag up all the way which is how I prefer to sleep - not cocooned, just comfortably warm. Since I often prespire at night, I was really pleased at the wicking capabilities of the tee. I never felt like I was clammy or sticky and I never was aware of having damp clothing on me. Not something I can say about a lot of sleepwear I own. And other than a damp wool scent, I don't think I offended my tent mate or any wild animals. Since my last two months' wearings were safe from brambles, branches and other sticky nasties, I haven't had any additional wear of the material. The shirt still is in good shape except for some "twisting" of the seams. This I noted in my Field Report and thankfully, this twisting hasn't gotten any worse. The tee hasn't had any shrinkage and I have no trouble tucking it into whatever "bottoms" I've got on, including low-rise yoga-type pants. I've washed the Wool 2 T-Shirt on 2 occasions during this Long Term Testing period in cold water by hand and dried it flat out of doors. I think my careful blocking of the shirt may have helped keep its shape better. The Patagonia W's Wool 2 T-Shirt is one of the most comfortable shirts I have ever worn! It glides on easily, fits trimly but not tightly and is chameleon-like, adapting to the heat and cold as need be. I enjoy wearing it as a base layer in all but the warmest temperatures as it wicks very efficiently and doesn't smell like some of my synthetic tops - even after several days of wearing. And it has become my go-to shirt for sleeping. It is so thin, it's like wearing nothing at all. 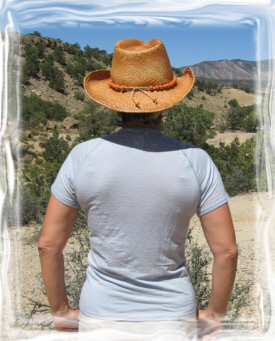 That thinness, however, makes it not practical (for me) as a solo top on the trail or in the general public. That thinness also is causing the shirt to wear a bit more than I would like to see after only four months. I will definitely continue to wear the Wool 2 T-Shirt until it falls apart and would definitely consider replacing it with another when the time comes. With a little care, it will be a backpack staple for me for some time to come. Thanks to Patagonia and Backpackgeartest.org for the opportunity to the Patagonia W's Wool 2 T-Shirt!